Roberto Diso was born in Rome in 1932. 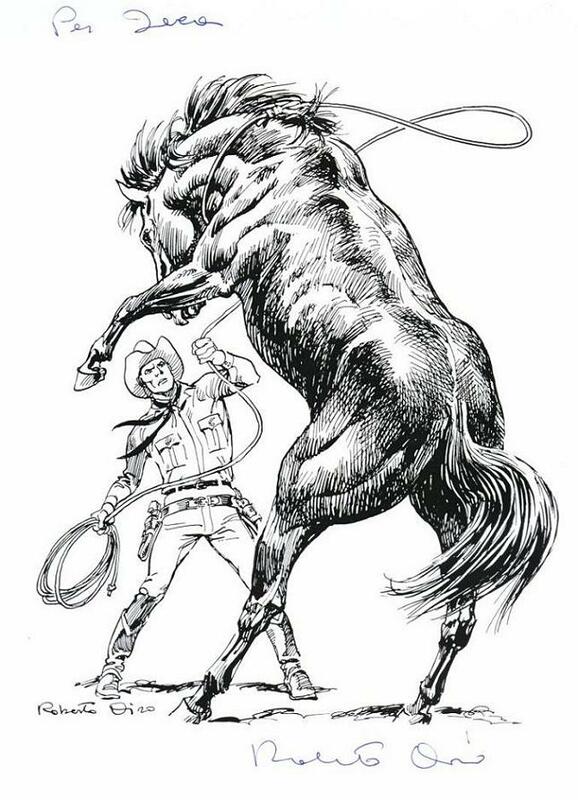 He worked for Il Vittorioso since 1954, where he made a couple of comics in cooperation with Santo D’Amico. 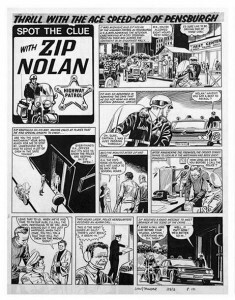 Later on, he was affiliated with the Giolitti studios, where he produced mainly war stories for the British Fleetway agency, such as ‘Zip Nolan’ in Lion Comic. He was also the artist for the first ‘Tiger’ story. For the French market, he provided artwork to ‘Lancelot’ and ‘Dan Panther’ for Éditions Aventures et Voyages, again in cooperation with D’Amico. He also drew adult strips (1965), episodes of ‘Goldrake’ and mystery strips for the German market.